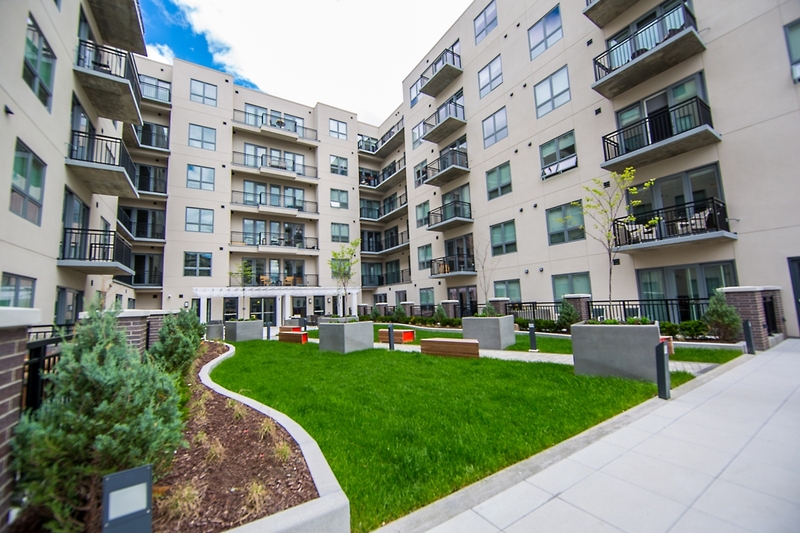 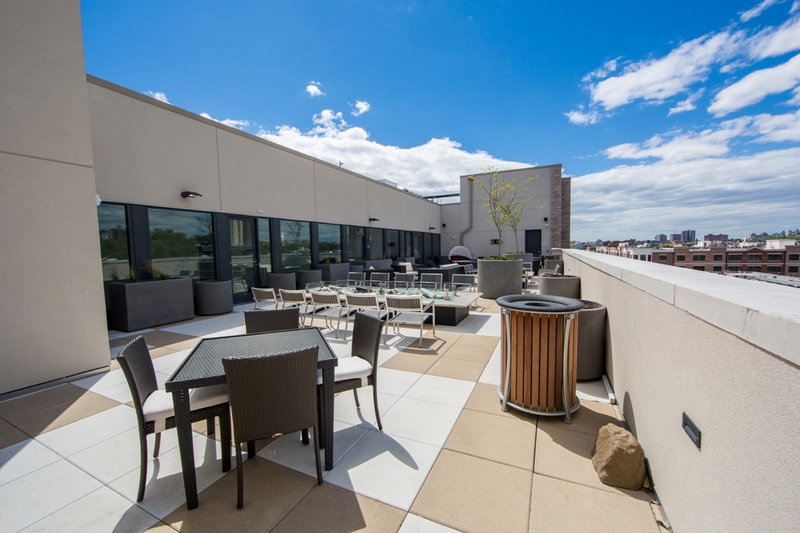 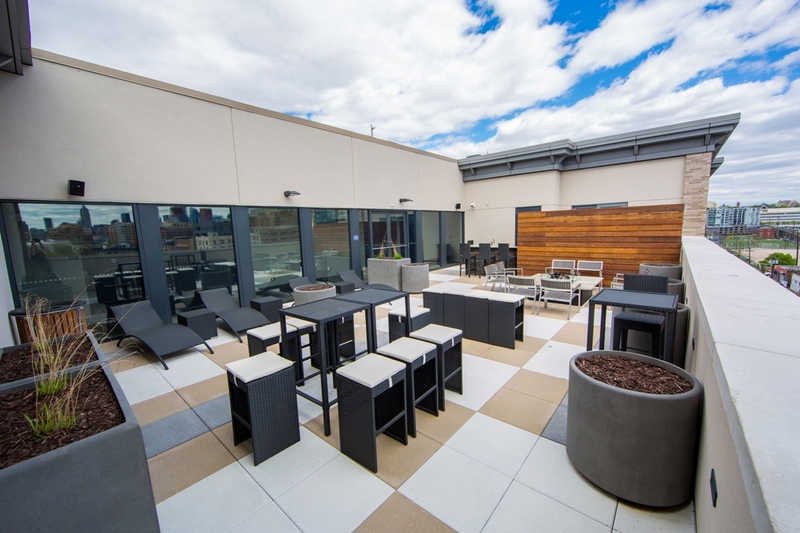 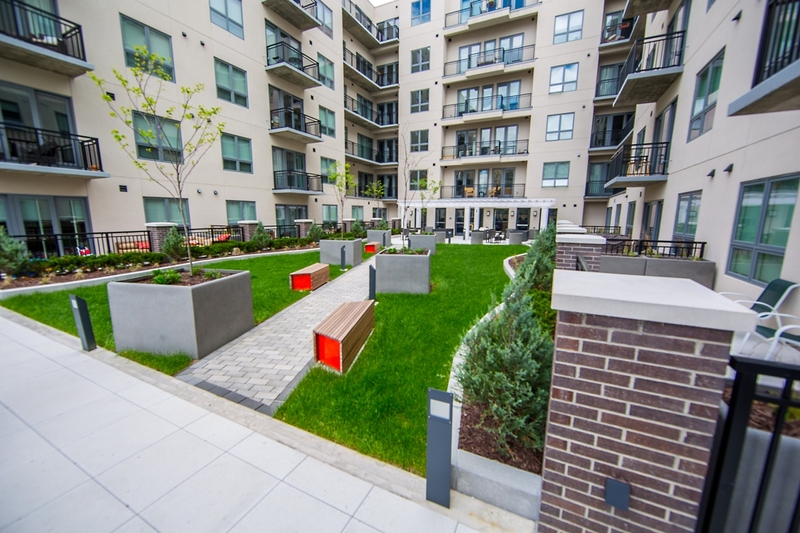 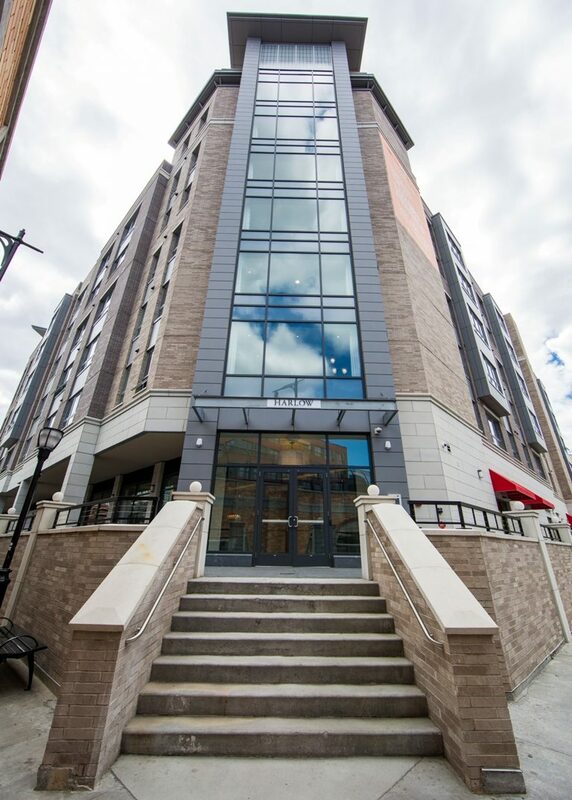 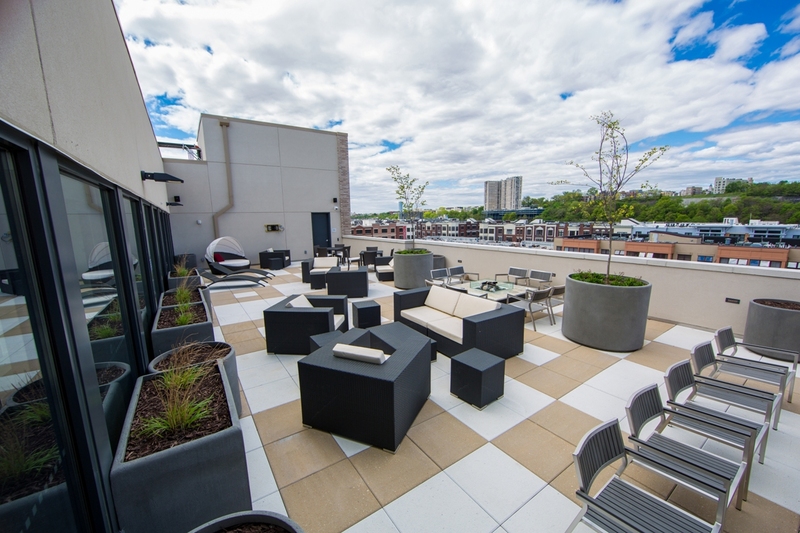 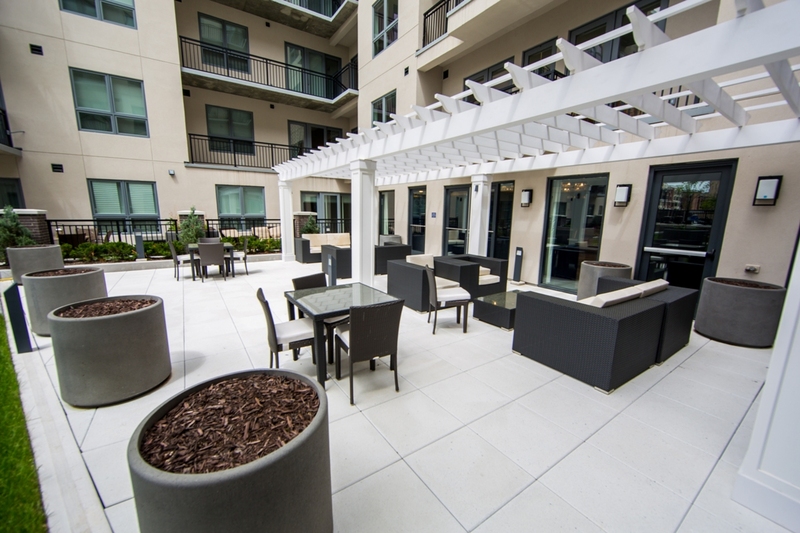 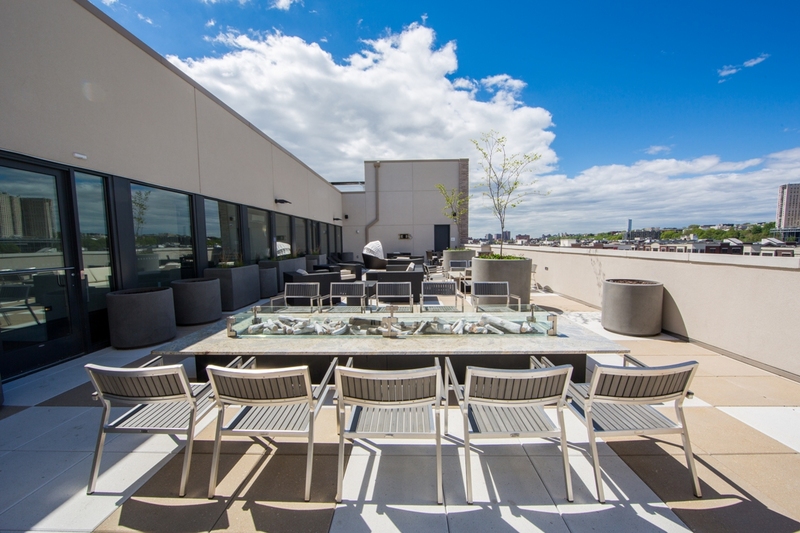 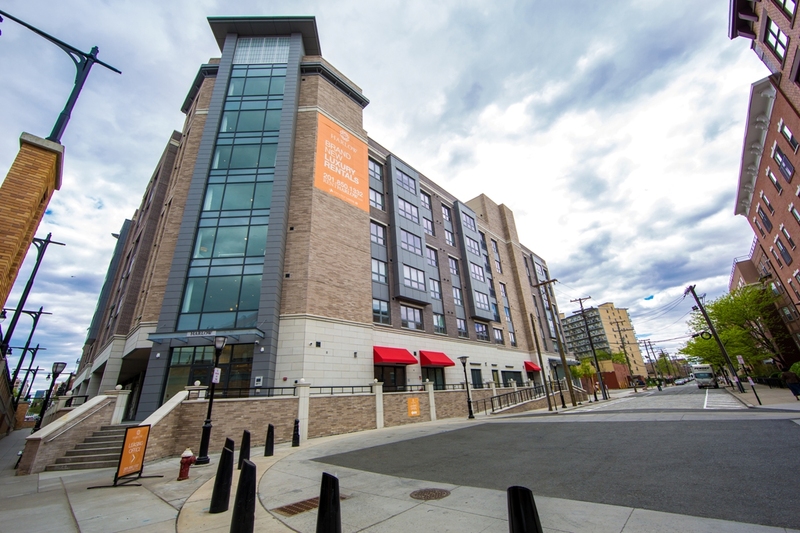 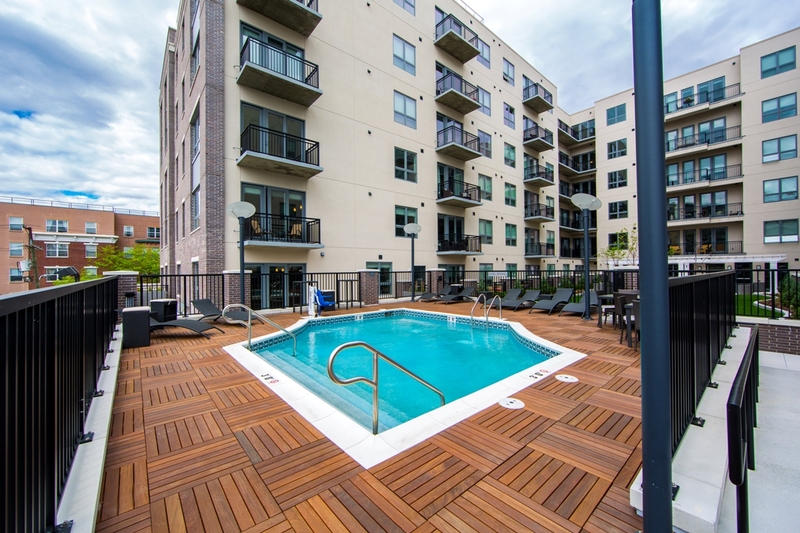 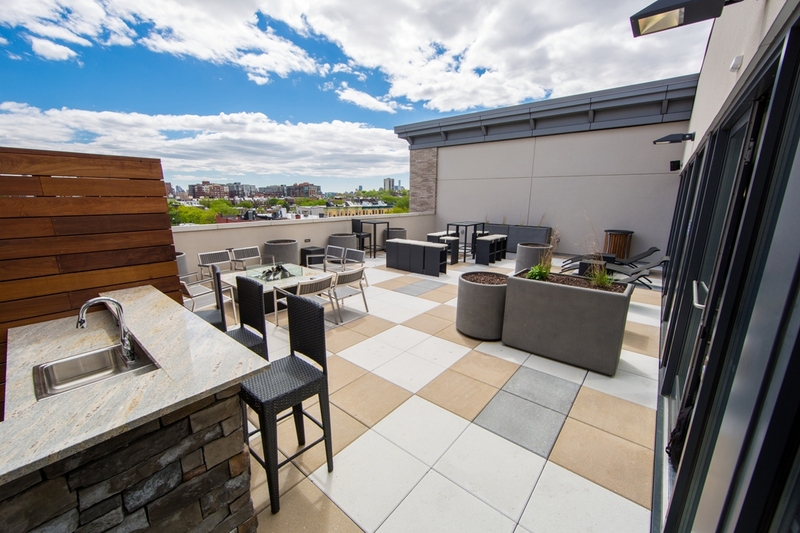 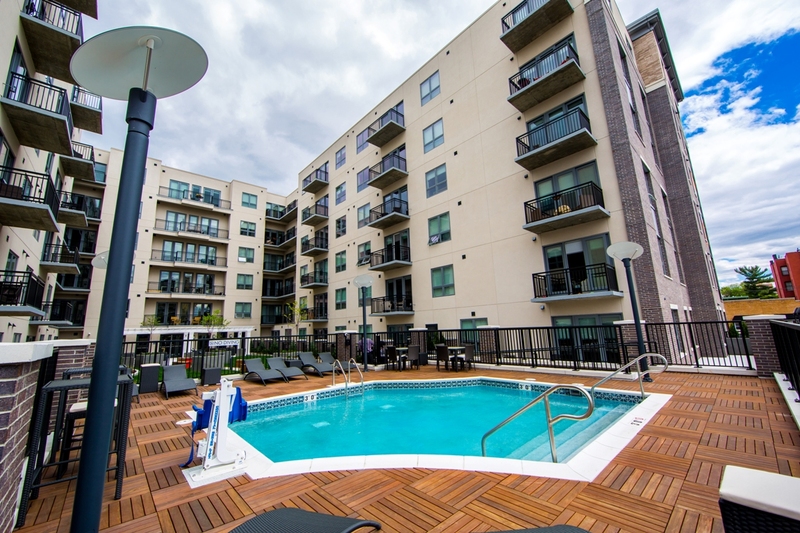 Let It Grow, Inc. was contracted to install ground level hardscape and landscape, as well as multiple terrace hardscapes and landscapes located on the 2nd and 7th floors. 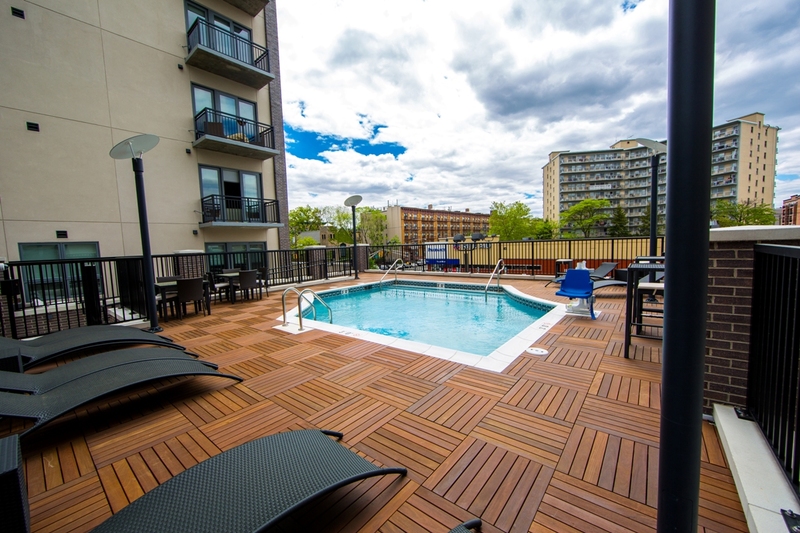 Harlow boasts an outdoor pool and landscaped pool deck, children’s play area and common outdoor roof terraces with barbecues, firepits and lounge areas. 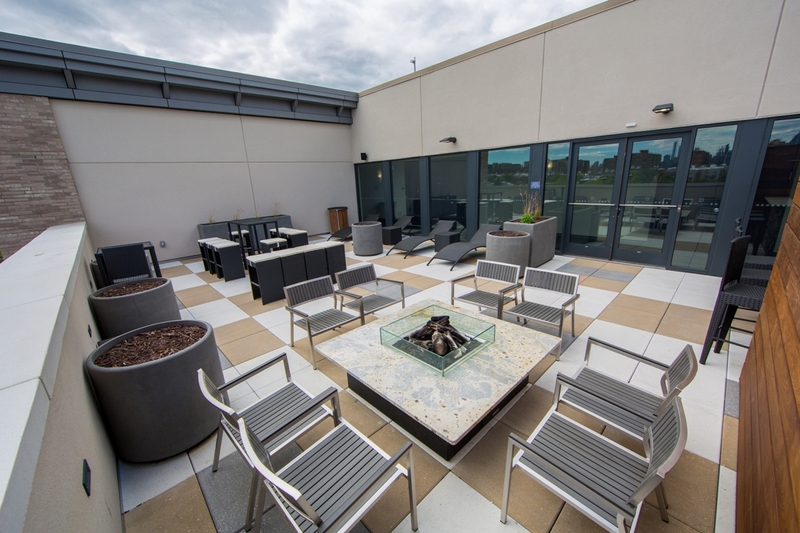 Let It Grow, Inc. was contracted to install ground level hardscape and landscape, as well as multiple terrace hardscapes and landscapes located on the 2nd and 7th floors. 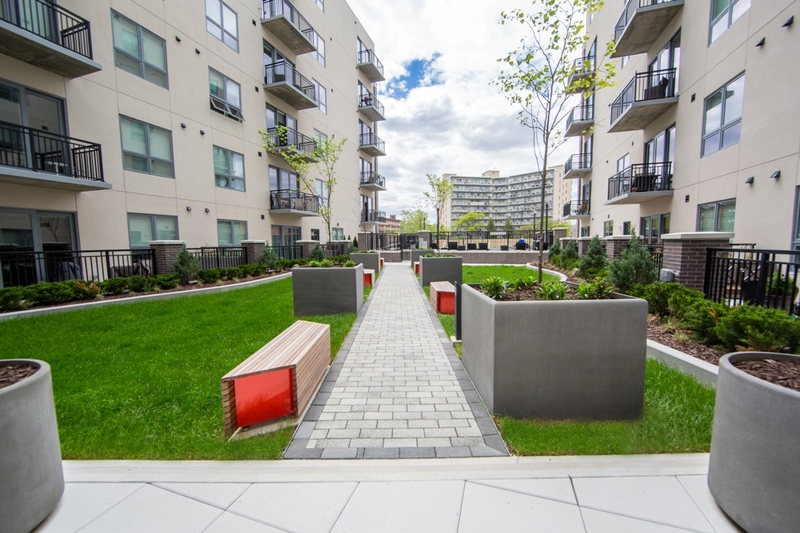 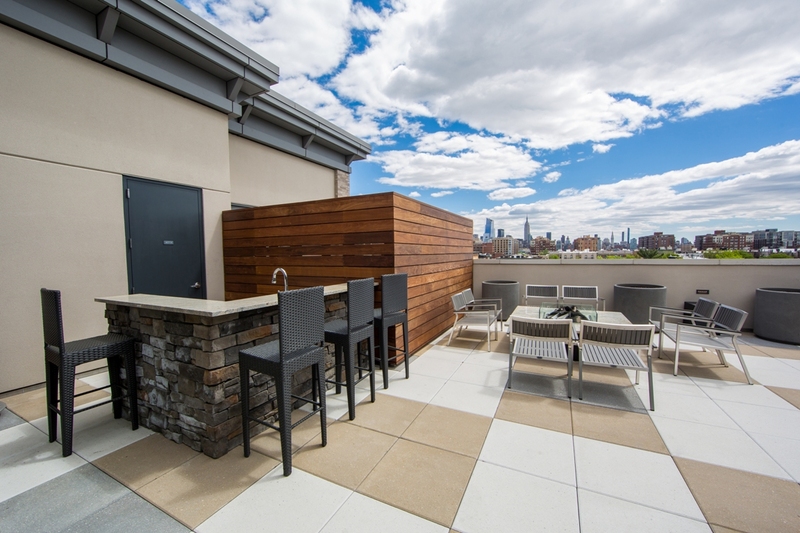 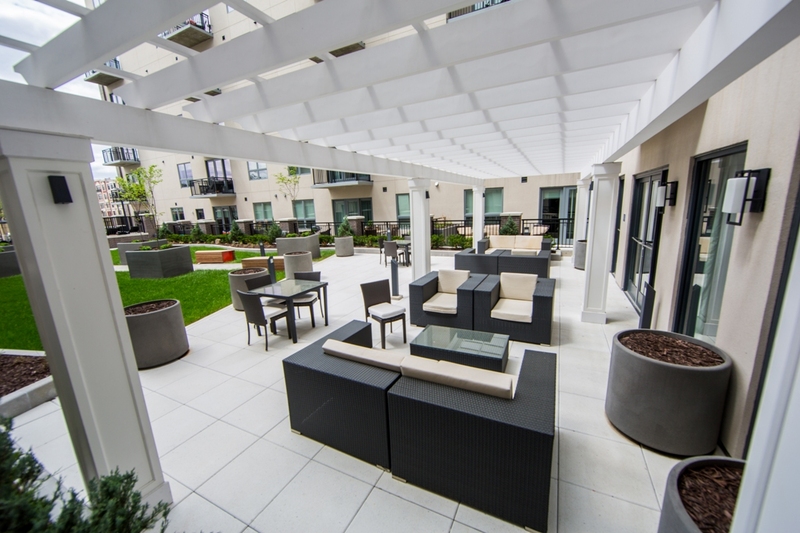 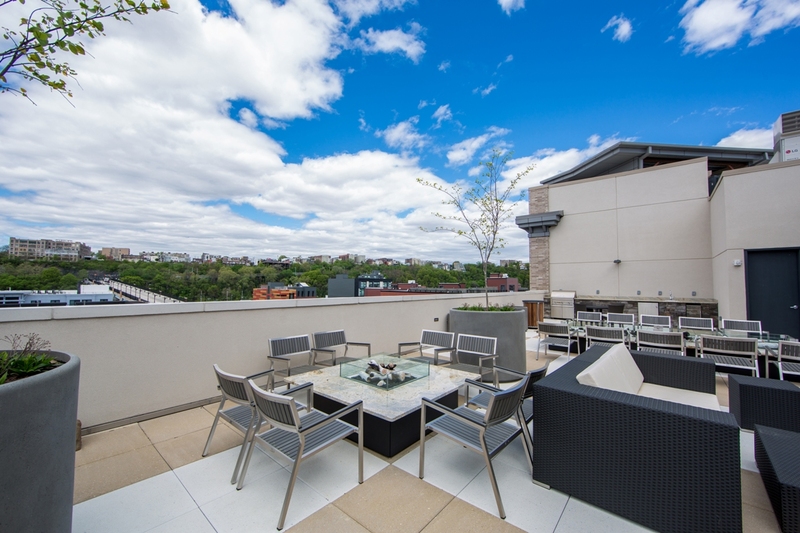 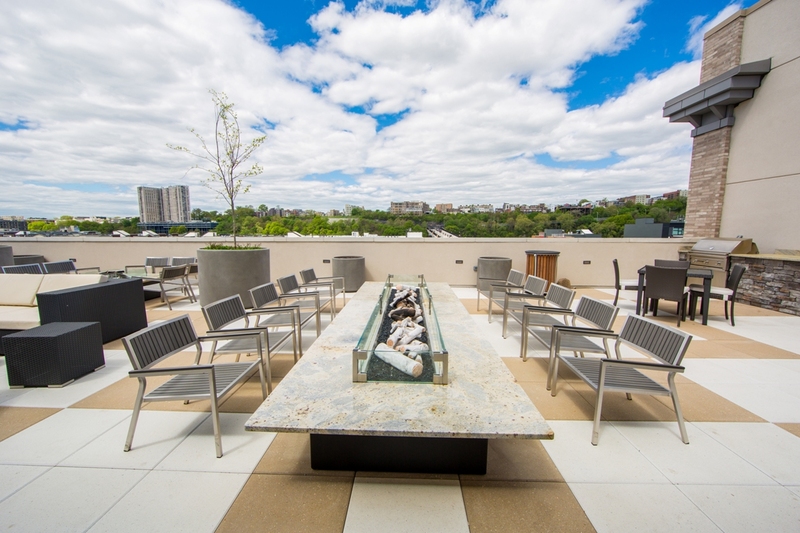 The terrace work included concrete and wood pedestal pavers, precast curbs, decorative fire tables, multiple sized planters, irrigation, and landscape installation. 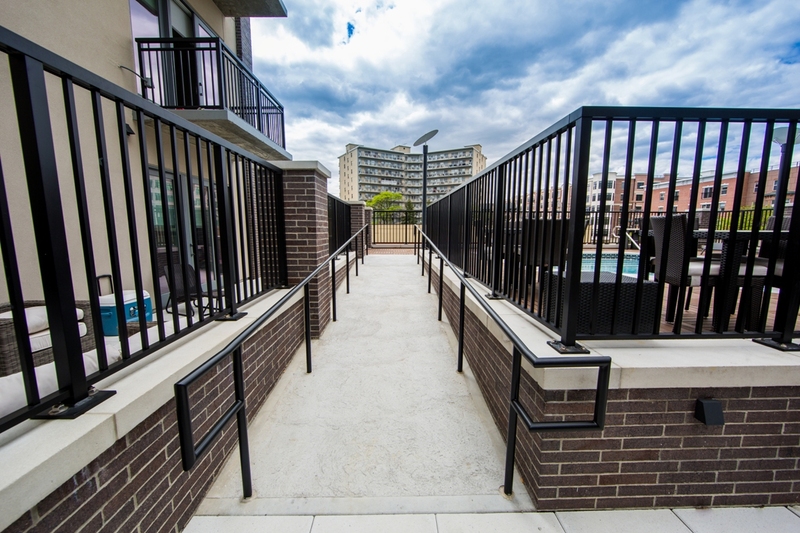 All materials were hoisted by crane from multiple locations to reach the respective terraces in order to complete installation. 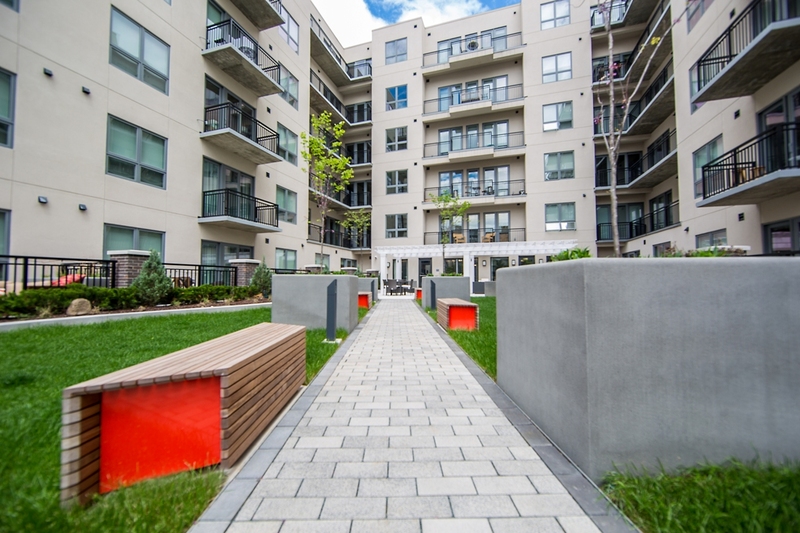 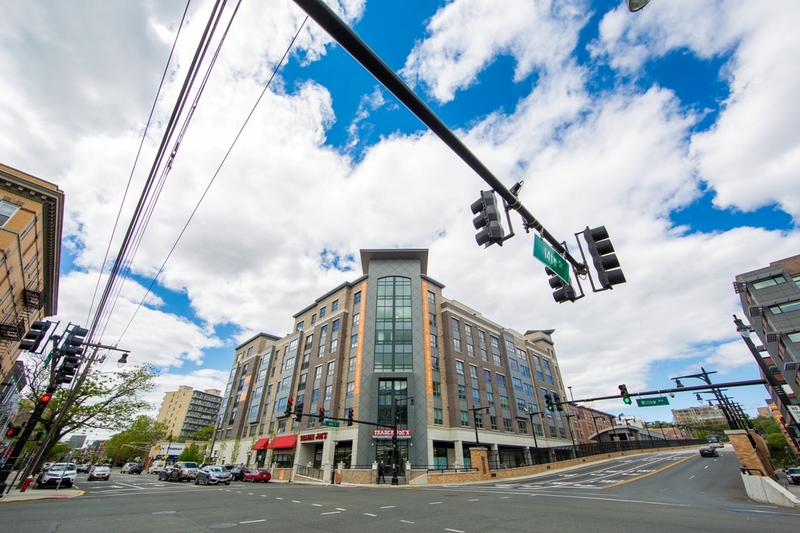 The ground level work was highlighted by 4,500 sqft of stamped, colored concrete, 4,400 sqft of concrete sidewalks, 3,200 sqft of Belgium block paving, 1,500 sqft of cast-in-place concrete walls to accept masonry veneer, and concrete curbs surrounding the building along streetscape areas.